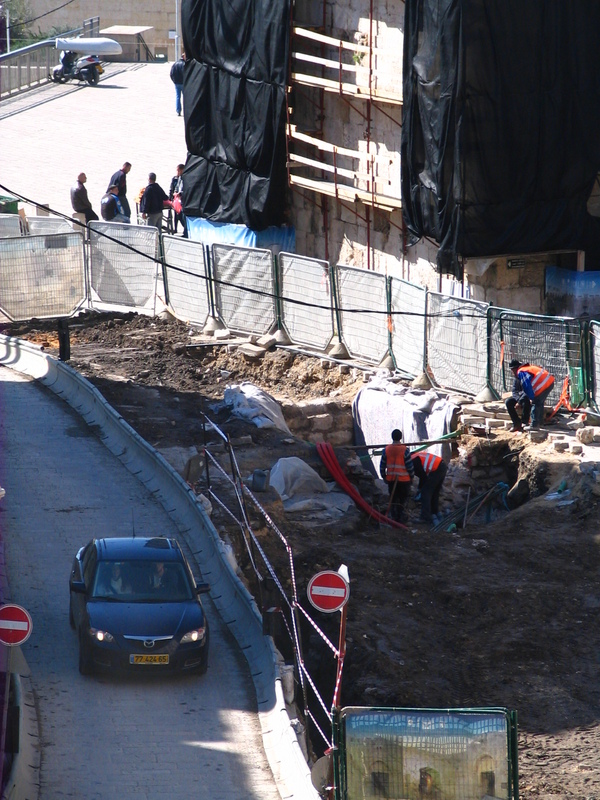 The infrastructure work which began in December inside Jaffa Gate –presently stretching from the gate opening itself nearly to Christ Church — is estimated to occupy the next several months, up to a year and a half altogether. Along with the serious disruption of both foot and vehicular traffic, there is an “up side”: some interesting things are beginning to be revealed archaeologically. 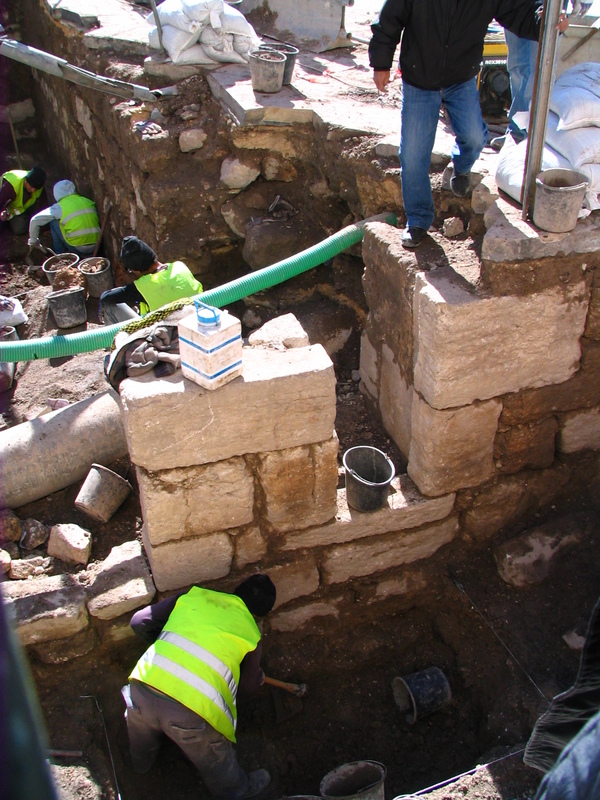 The following photos were taken on 27 JAN 2010, focusing on two areas, one at the very head of David Street (where the market street joins the open plaza) and the other close to the Jaffa Gate structure itself. (As I was taking the photos, workers at the former site were constructing a frame over which I suspect a fabric covering will be stretched, obscuring any ongoing work.) As for the dating and function of the structures being found, time will tell… One wall in particular however can be identified with some certainty (in my opinion) — see below. 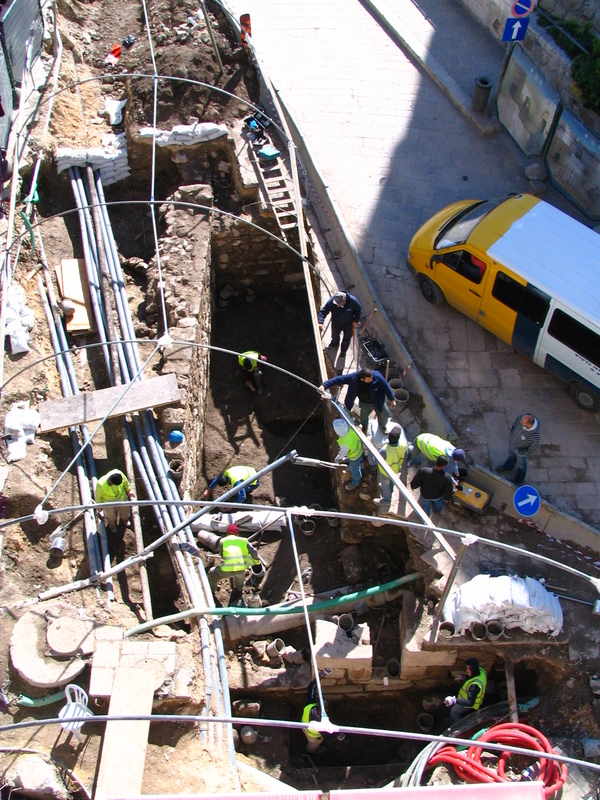 ABOVE: High-level shot of the excavated area at the head of David Street, in front of the Swedish Christian Study Center. The view is looking south, from the roof of the Petra Hostel. Note the fine ashlar masonry doorway (and corner?) in the foreground and the two tall walls extending to the south, with a cross-wall in the distance; the wall on the left appears perpendicular to the wall with the doorway, while the wall on the right has a different alignment. ABOVE: A street-level view (looking south) of the nice ashlar masonry with what appears to be a doorway (although a rather narrow one!) and on the left a corner and an adjoining pavement (?). ABOVE: Another street-level view of the same location (looking south) showing the area behind the nice ashlar wall. Note the two walls extending southward, defining the sides of the trench, and a cross-wall in the distance. 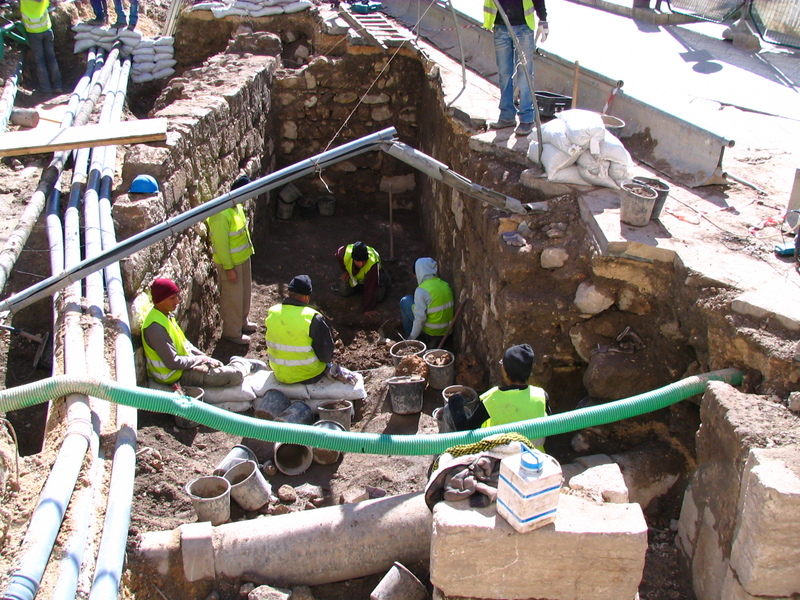 ABOVE: Another view into the excavated area in front of the Swedish Center, looking more SE and showing the wall defining the east side of the trench. 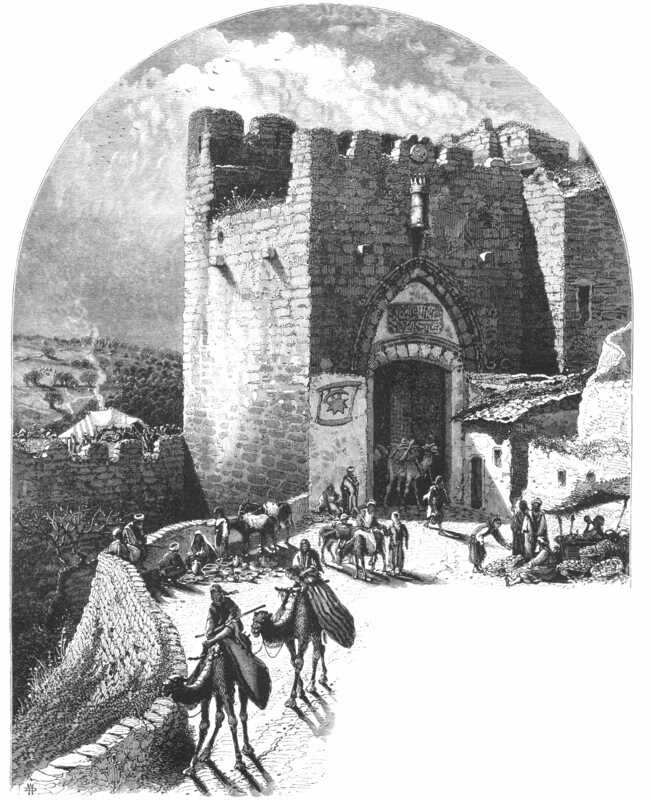 An illustration from Charles Wilson’s 1880 publication Picturesque Palestine. Note the moat wall connecting with the southeast corner of the gate-tower (center). (Beyond it lies another, so-called “curtain” wall stretching across the moat; today it too presumably lies hidden just beneath the street.) In 1898, in anticipation of the state visit of the German Kaiser Wilhelm II, today’s broad, open gate passage was created between the Citadel and the gate-tower. At that time the walls shown in the engraving would have been partially dismantled, and the moat at this particular spot eliminated and filled in more or less to today’s street level. 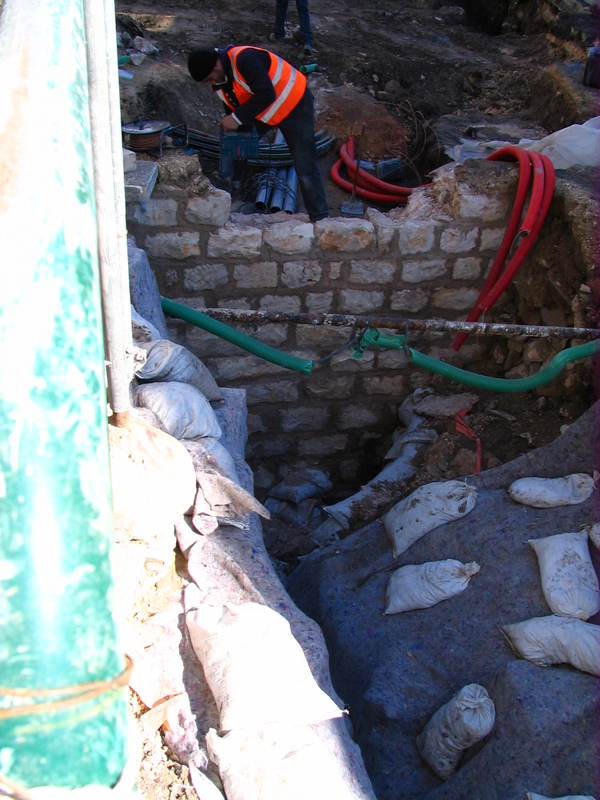 ONE MORE… This stone-lined shaft appears to open into a subterranean space. It was perhaps a meter, or somewhat less, in its longer dimension; the location, as I recall, was in the general area of the gate-tower. 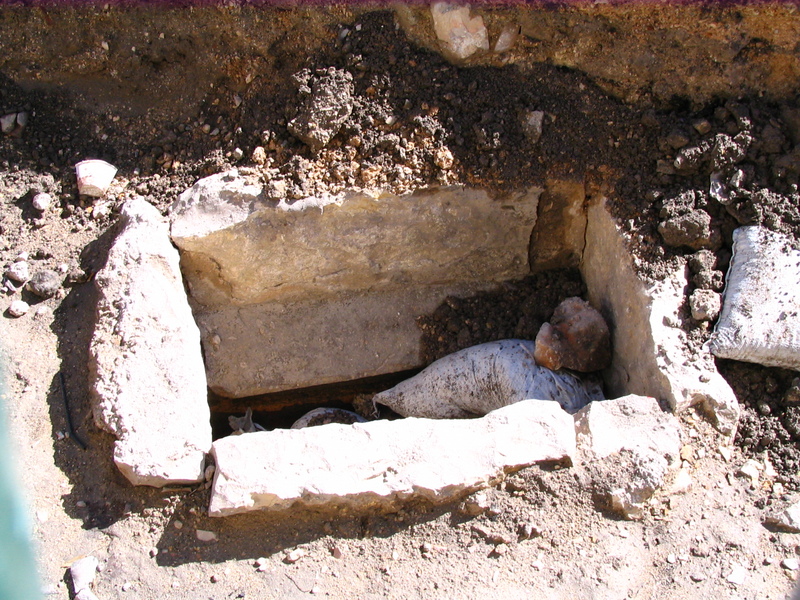 This entry was posted in Archaeology, Jaffa Gate, Jerusalem Antiquities and tagged 1898, Archaeology, Citadel, excavations, Jaffa Gate, Jerusalem, Old City. Bookmark the permalink. So glad you started this blog! Shalom from a fellow former volunteer. 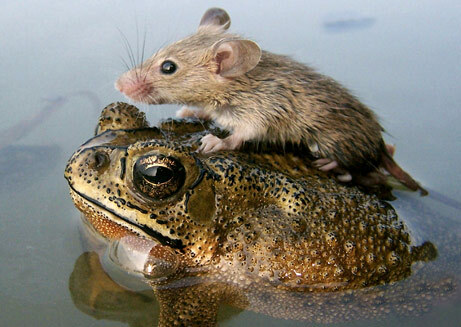 I will look forward to future blogs! 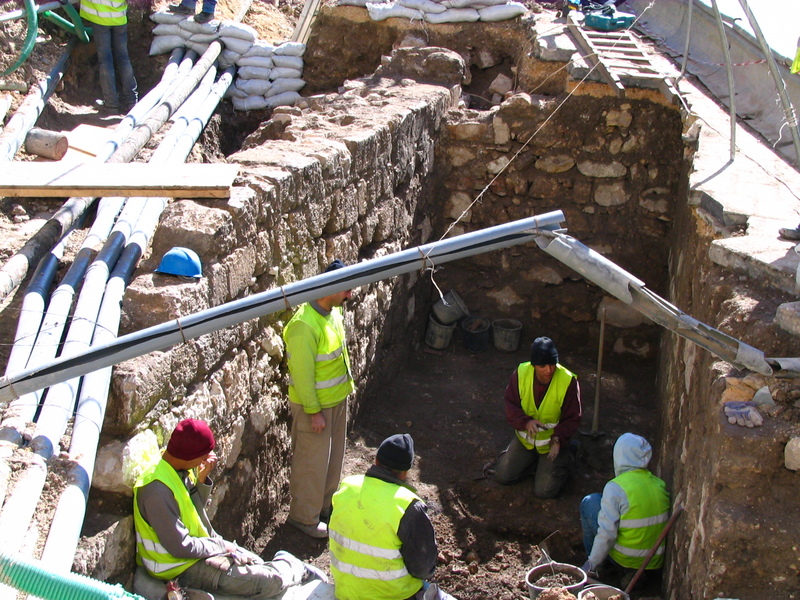 Your excellent photos and explanation of the Jaffa excavations were fascinating!